Singapore’s upscale lifestyle hotel brand, Amara, has now spread its wings to Thailand with the soft opening of the chic new Amara Bangkok. This luxuriously furnished hotel will be managed by the hospitality arm of Amara Holdings Limited (“Amara Holdings” or “the Group”), Amara Hotels & Resorts. 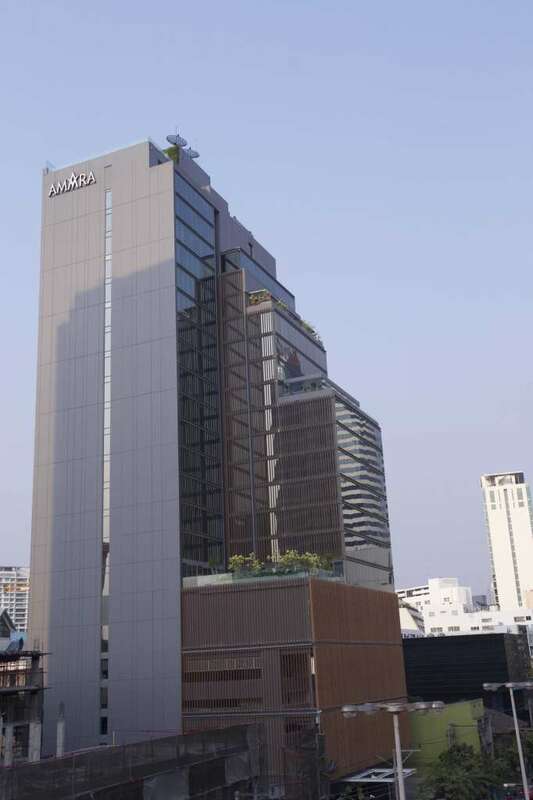 The Group’s first ‘Amara’ hotel in Thailand is located in the vibrant neighbourhood of Surawong, parallel to Silom and Sathorn Roads in Bangkok’s Central Business District (“CBD”), and in the heart of the city’s most popular shopping and nightlife district. 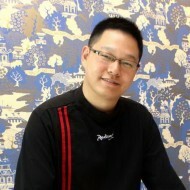 “Bangkok is one of the world’s most dynamic and exciting leisure cities in Asia, so we are delighted that our first Amara hotel in Thailand will be in Bangkok, and we are confident that Amara Bangkok, with its personalised service, our unique offerings and our experience in the hotel business, will do well,” said Mr. Albert Teo, CEO of Amara Holdings. 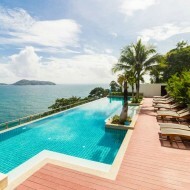 He added that Bangkok draws business and leisure travellers with her history, shopping, food, European tour sanctioned golf courses and 5-star medical services at affordable fees. To celebrate its opening this year, which is the Year 2558 in the Thai Buddhist calendar, Amara Bangkok is offering a special introductory rate of Baht 2,558++ including breakfast, valid until April 30, 2015. The brand new property has been designed to encapsulate the essence of contemporary Thai culture, whilst still embracing some of its own popular Singaporean heritage. With a unique exterior comprising 597 timber fins, the hotel has a sleek and distinct appearance. Its facilities include 250 Deluxe, Executive, Club and Cabana Rooms and Suite, relaxed and stylish restaurant and bars including one specialising in Southeast Asian cuisines, a rooftop infinity pool and bar on the 26th floor, a Grand Ballroom and two function rooms, a 24-hour Sky Gym, and Amara’s unique 24-hour mini bar boutique. The innovative mini bar boutique, which is open 24 hours a day, allows guests to select whatever items they prefer to have available for consumption in their rooms, all at convenience store rates rather than hotel prices. 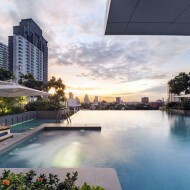 Highlights of the hotel include the 26th floor AkaAza rooftop bar (which means sky in Sanskrit), which is located adjacent to the hotel’s infinity pool and affords spectacular views of the Bangkok skyline. 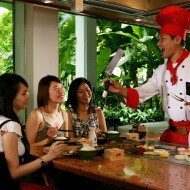 Bamboo trees line the relaxed all-day-dining restaurant Element, which also features a refreshing alfresco dining area. 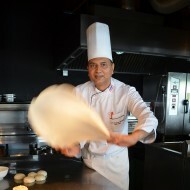 The restaurant, like its namesake at Amara Singapore, specialises in authentic Singaporean, Thai and Provincial Chinese Cuisine from its well-known Silk Road Restaurant in Singapore. Each guestroom features art prints depicting abstract Thai art, while the original art pieces are on display throughout the hotel – all conceived by local Thai artists, winners of an art competition launched by Amara Bangkok in 2014. The hotel also offers events and meeting facilities with its 4.6 m ceiling high Grand Ballroom Tanjong Pagar 1 and 2, named after the neighbourhood where Amara Singapore, the Group’s flagship property is located, and two function rooms Surawong 1 and 2. An Executive Club Floor and lounge have also been designed with the business travellers in mind. 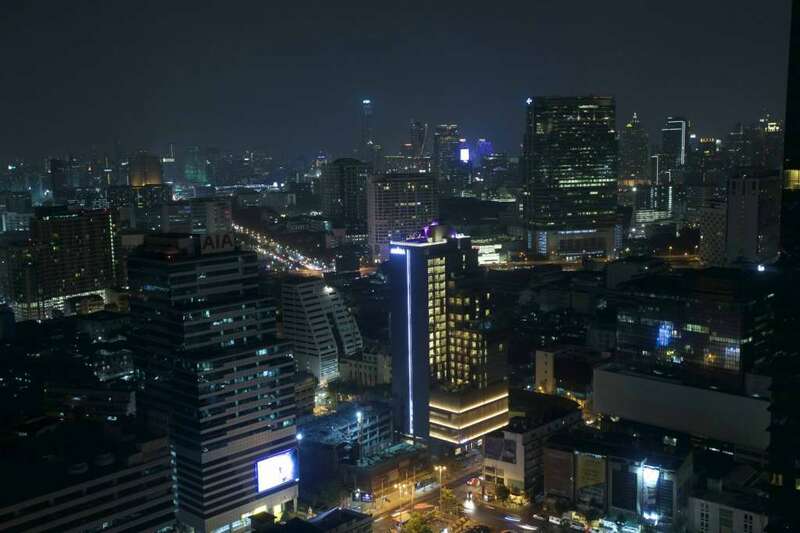 Amara Bangkok is centrally located in Surawong, within easy reach of popular areas such as the night market, tantalising food stores and key shopping areas. The hotel is also conveniently positioned near two BTS Skytrain stations – Chong Nonsi and Sala Daeng. The hotel’s custom-made air-conditioned Tuk Tuk is also available to shuttle guests to Chong Nonsi BTS. 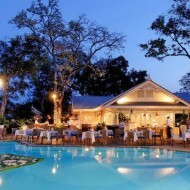 Amara Bangkok also offers a host of tailored services to its guests through its Little Brown Book – part of an e-concierge service which will allow Concierge to recommend places of interests, including the option to tee-off at over 200 golf clubs in Thailand.